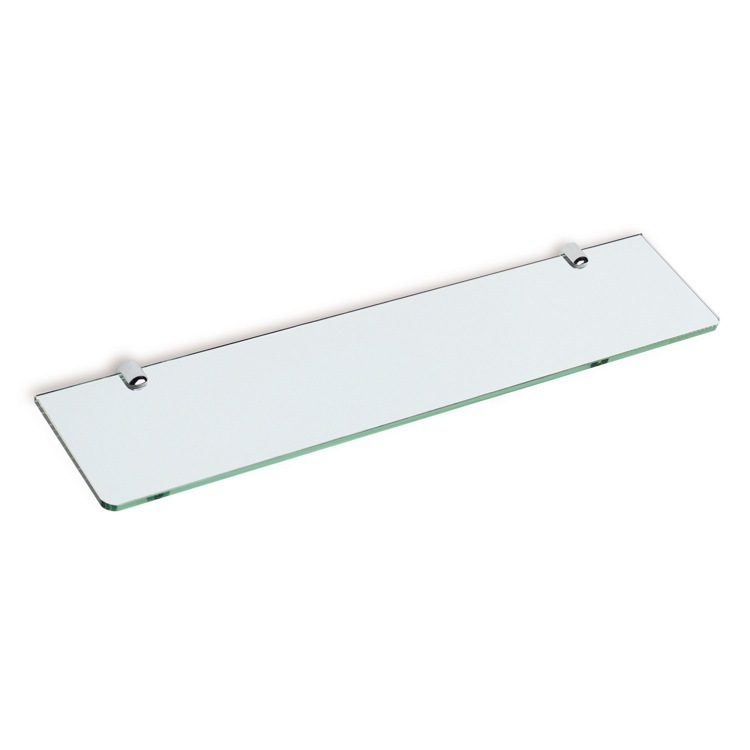 This two foot clear glass wall mounted bathroom shelf with rounded corners and chromed brass brackets has a sleek look for your bath décor. Solid brass construction and a polished chrome finish for the brackets ensure long life, corrosion resistance and eye catching beauty. The 24 inch shelf features rounded corners for safety and elegance.